Java is the most favored Android’s programming language, which is object-oriented and crafted to have limited implementation dependencies. 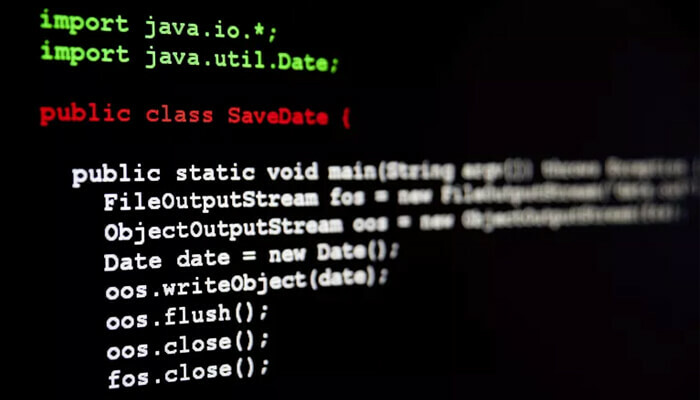 It lets the developers to "write once, run anywhere" code that can run on all platforms that support Java. But then why Kotlin? Even Java has some much on offer, why the developers are shifting towards Kotlin. It is because Java does have some shortcomings. The programming language first appeared 23 years ago, and with time it was refined with new additions, but that doesn’t make it an absolute choice. Wordpress Engineering (official WordPress App for Android) ? Most of the developers still use Java 6 and 7. Though OpenJDK did try to affix the missing features in Java 8, sadly, the Android platform doesn’t use all the features of Java 8. On the other hand, Kotlin is a new open source programming language for modern multi platform applications that is based on the Java Virtual Machine (JVM). Interestingly, Kotlin is designated as the official language of Android. The best thing is, it's interoperable with existing Android languages. Furthermore, it can be easily integrated with Android Studio, which no other language offers, other than Java. Today, I will be taking you through two of the most sophisticated open-source programming languages and will explain you, why Kotlin has the edge over Java. If you are looking to switch to any of the new programming languages, you can lay your hands on languages like C#, C++, Java, Kotlin, etc. Let’s know more about Kotlin and its applications that helps it to stand out from others. Compatibility With Java: The interchangeability with Java is one of the most significant features of Kotlin. 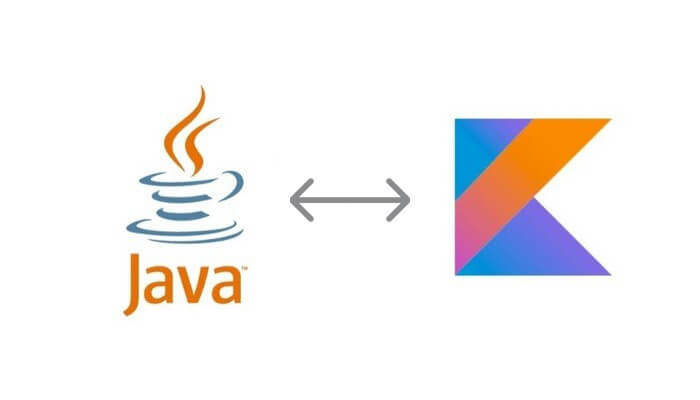 The developer can work on a project by deploying Java and Kotlin code side by side. By doing this, there will be no effect on the final outcome of the project. The best part of these codes is, once the project is compiled, it becomes hard to differentiate between project parts written in Java and Kotlin. Everything looks the same. With the ease of writing codes side by side in the same project, one can fully change the Java code to Kotlin or re-write all the codes. It will save you from starting the project from the beginning. It also offers the majority of Java libraries and frameworks in your projects. Also, the Kotlin language is easy to read, which helps the Java developers to learn what exactly it. Best on offer: Currently, there are a lot of programming languages available in the market. Each of these languages has their own strengths and weaknesses. So, it all depends upon the developer, what exactly he wants to extract. Then comes the need for choosing between functional programming and procedural programming. Sometimes, it becomes tough to pick anyone. Here Kotlin takes an edge by bridging the concepts and elements of both these programming and brings you the best. Android Studio Support: IntelliJ is an IDE (Integrated development environment) that Android Studio is based on and IntelliJ is developed by JetBrains, the same company behind the Kotlin. Therefore, JetBrains made sure to integrate Kotlin with Android Studio that too with excellent support. After plugging Kotlin for Android Studio, configuring is elementary, and even the IDE will compile and run the Kotlin code comfortably. 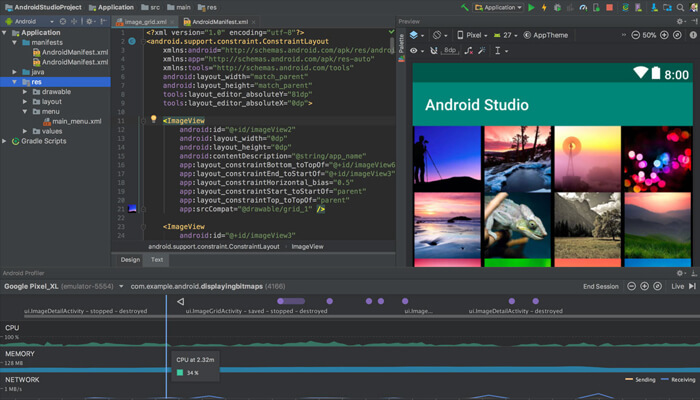 Other than this, Android Studio also offers auto-completion, code navigation, debugging, full refactoring support, and unit testing for Kotlin. After full set-up, the developer can convert one whole file of Java into Kotlin. Modern And Expressive: Kotlin is concise while being expressive, and contains safety features for nullability. It makes the Android apps healthy and efficient by default. But if you look at similar languages, they lack this component. Default And Named Arguments: Kotlin lessens the number of overloaded functions by employing default arguments. The developer can call functions by using named arguments to make the code more readable, which ultimately helps them to comprehend the codes in a better way and hence they can make smarter apps. Extend Functionality Without Inheritance: Extension functions and properties enable you to extend the functionality of classes without inheriting from them quickly. Great Tooling Support: As I mentioned above, Android Studio is compatible with Kotlin and hence provides tools to help you start. The developer can transform entire Java files and code snippets in one go when the Java code is pasted on a Kotlin file. Kotlin is open: It is an open source project, much like Java. It makes it an open developer ecosystem that makes the Android an excellent platform to develop apps for. More Concise Code: The compactness of Kotlin codes is well-known. If we take Java codes into account, its codes are more prominent. Therefore, the less number of codes will result in fewer bugs. The other significant issue that the developer face usually is deploying boilerplate code, which Kotlin reduces by a good enough numbers. Being an enterprise language: As compared to other programming languages, Kotlin is quite new in the tech domain. It was developed by JetBrains to handle practical and real-world problems. So, Kotlin was developed to be more enterprise-specific language rather than a complete statically programming language. 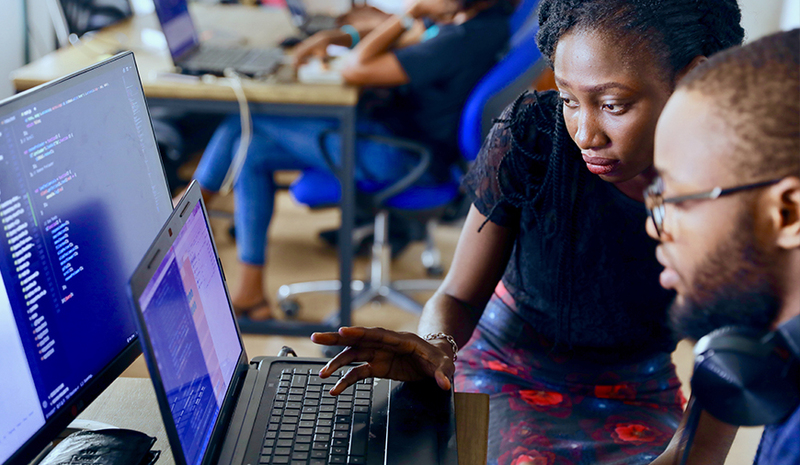 JetBrains smartly played with this language and didn’t try very hard to bring up something from scratch; instead, it was designed to meet the needs of the modern enterprise developers. Excellent IDE support: As we all know, JetBrains backs this programming language, and the same company is known for developing some of the best IDEs available in the market. So, much like its other products, Kotlin is great for integration. For instance, if the developer is using Eclipse, it offers plugins for it also. Moreover, Kotlin perfectly fits in Android Studio's IDE. On mixing it with Java, it still works perfectly. And if we look at other JVM-based languages, none of them can come close to Kotlin. Another astounding feature of Kotlin plugin is, one can convert whole of the Java file into Kotlin with just one click. Sizeable Runtime Size: The first major drawback of Kotlin language is the file size that its Standard Library and runtime increases. On an average, a .apk file expands by 800 KB, which is not much but if some file is already heavy, then it may become an issue to look into. Overall, it can make the user think before downloading heavy files. Complex Code Decryption: Sometimes your greatest strength can become your weakness and Kotlin is one example. Although Kotlin’s has a great syntax, still it may face some issues in to decipher initially due to the fact that a small code is infused with so much and it becomes complicated for the language to decipher. Whereas, when we look into Java, it’s code is not that compact but whatever life it has in it, it can decipher it well. With more and more overloading, the code becomes complicated to understand. Lack of Official Support: Android Studio is the officially integrated development environment for Google's Android operating system, and it extends excellent support to Kotlin as well. Sadly, the advanced programming language is not officially endorsed by Google, which might make developers think. The other major issue is the auto-complete and compilation of Kotlin on the Android Studio, which can run slower sometimes. Lacks Community Support: Kotlin first made an appearance in 2011 and gradually the developers adopted it. If we compare it with Java, which has its presence in the market for a long time now; Kotlin seems relatively new language. The developer may find it hard to discover blog posts, tutorials, and user documentation related to Kotlin. Also, the community support is not very impressive over here. Here we discussed two of the best programming languages currently available in the market which are extensively used by developers to create the Android app. But with better features and functionality, the Kotlin is unwaveringly taking over the Java language. Kotlin makes the life of an Android developer much more relaxed. The developers don’t have to waste their time on experimenting with new languages which do lack something or the other. Whereas, Kotlin is a well-established language and is trusted by developers all over the world. If a developer is already on the Java platform, it won’t be that easy for him to shift as it may look because the transition is always not that exciting for developers. So, if you are pondering over the conversion from Java language to that of Kotlin, give yourself ample time and space. But once you become an accomplished Kotlin developer, there is a lot of ease and comfort. Get it from Android Studio and try mingling Java code with it. If you find it interesting enough, do let me know.